LTM stands for “Last Twelve Months” and is similar in meaning to TTM, or “Trailing Twelve Months.” LTM Revenue is a popular term used in the world of finance as a measurement of a company’s financial health. It reports or calculates the financial figures for the “past 12 months.” LTM or TTM Revenue shows a company’s performance in the past year rather than just seeing the quarterly figures and adjusting it for the full year.Fiscal Year (FY)A fiscal year (FY) is a 12 month or 52 week period of time used by governments and businesses for accounting purposes to formulate annual financial reports. A Fiscal Year (FY) that does not necessarily follow the calendar year. It may be a period such as October 1, 2009 – September 30, 2010. 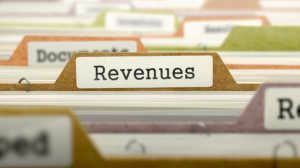 The LTM revenue is used especially by analysts and acquirers while valuing the firm or rating it as Overweight, Neutral, etc., as they want to see the company’s growth potential and performance in relation to its peers. Why do Analysts use LTM Figures? LTM is considered useful in assessing the most recent business performance indicative of the company’s current trend. LTM figures are more current than the fiscal or annual financial statements, which helps avoid potentially misleading short-term measurements. LTM figures compare the relative performance of similar companies within an industry or sector. LTM figures provide a more accurate value of a business in the event of an acquisition. LTM gives a relevant measurement of P/E ratio. To learn more about financial analysis, see the following resources from CFI.